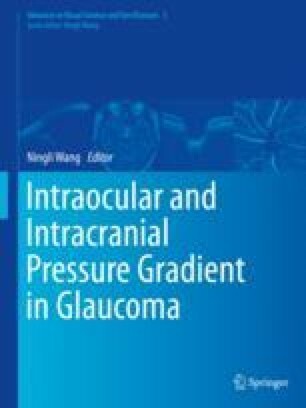 It has been reported that low BMI is associated with lower CSF pressure, which then translates into higher translaminar cribrosa pressure gradient, which is a risk factor for glaucoma. Previously, in our epidemiologic studies, we have reported that low BMI was a possible risk factor for POAG. To better understand this association and because POAG is a heterogeneous condition, we previously evaluated the relation between BMI and POAG subtypes based on pattern of visual field loss. We observed that low BMI is more strongly associated with primary open-angle glaucoma where the loss of vision tends to focus on the paracentral region rather than the peripheral vision. Every 10-unit increase in BMI was associated with a 33% lower risk of primary open-angle glaucoma with early paracentral loss, whereas it was not associated with peripheral loss [1, 2]. So we have hypothesized that the paracentral fibers, particularly the inferior, are in the “macular vulnerability zone,” as the fovea lies below the disc, and accompanying blood vessels make more acute arcuate turns, creating shear forces that could compromise local blood flow.